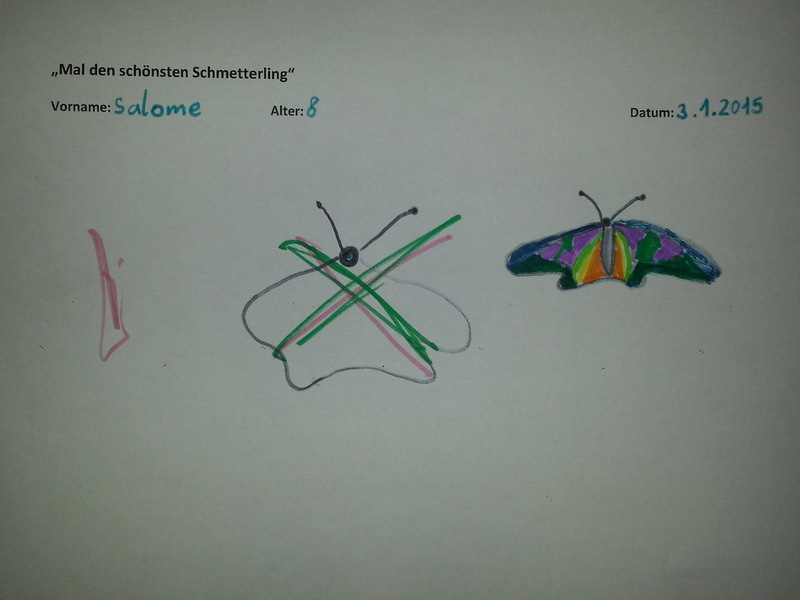 Who can draw the most beautiful butterfly? 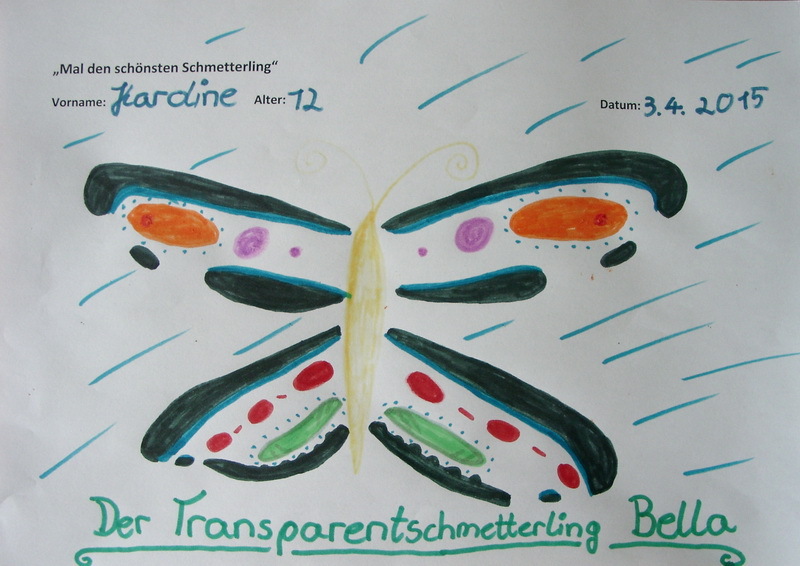 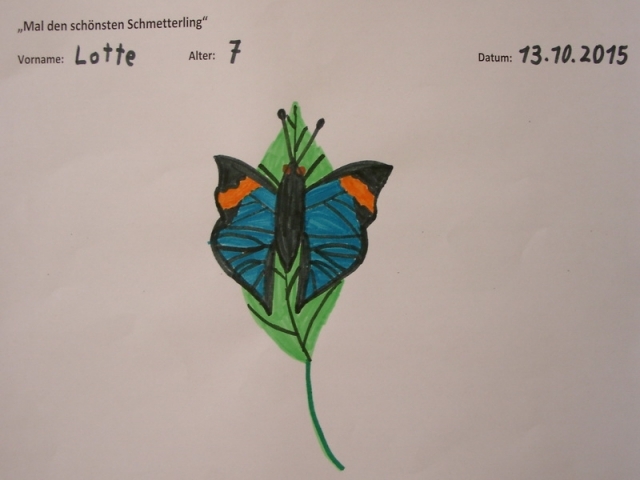 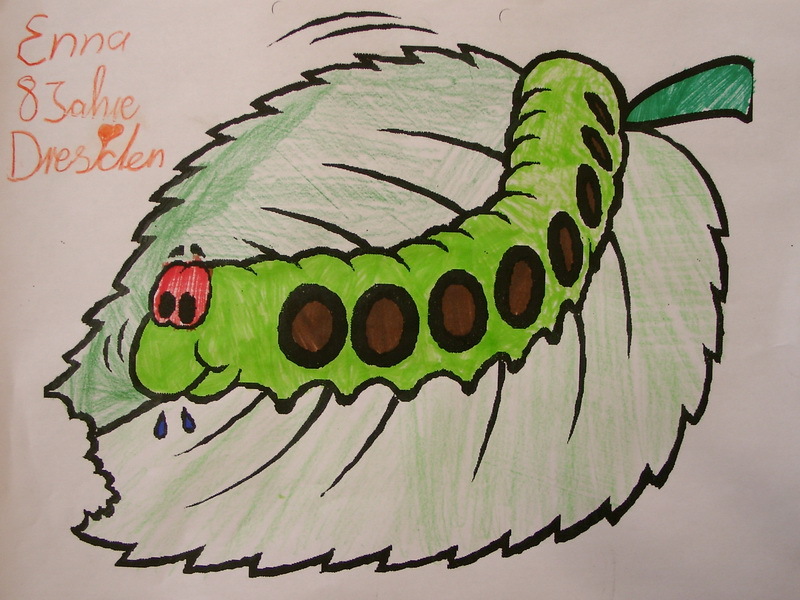 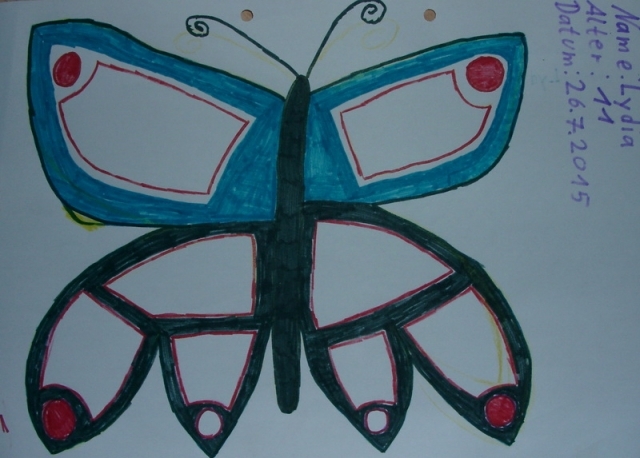 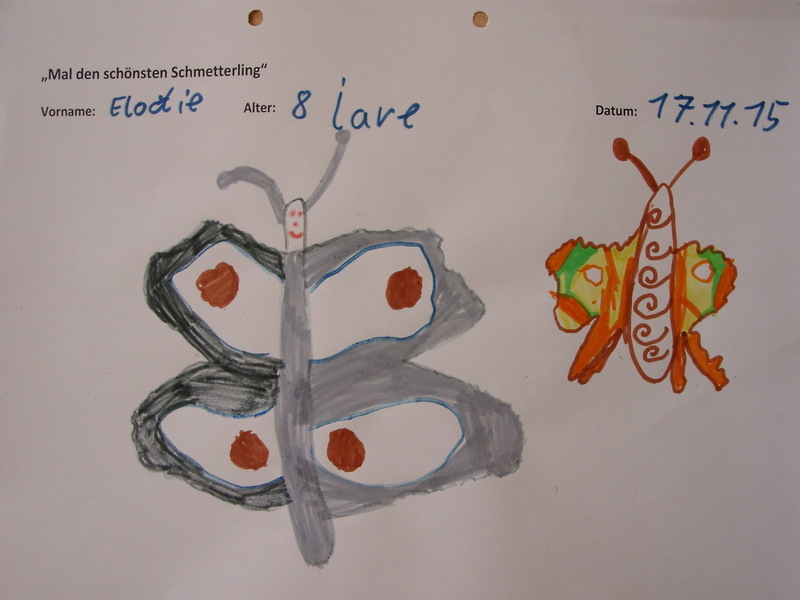 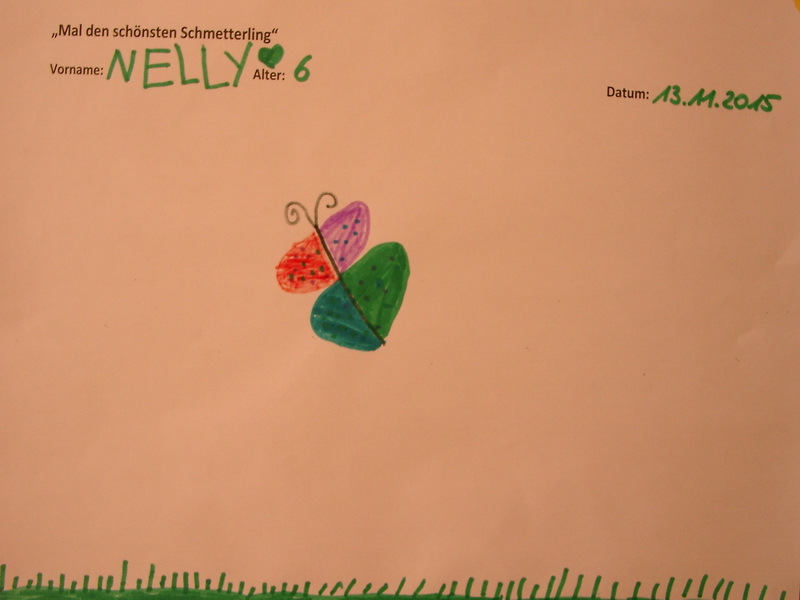 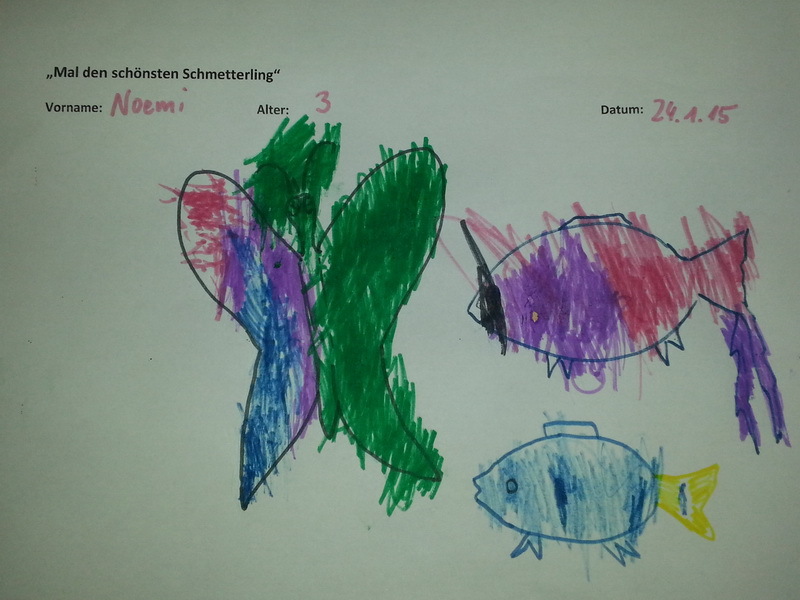 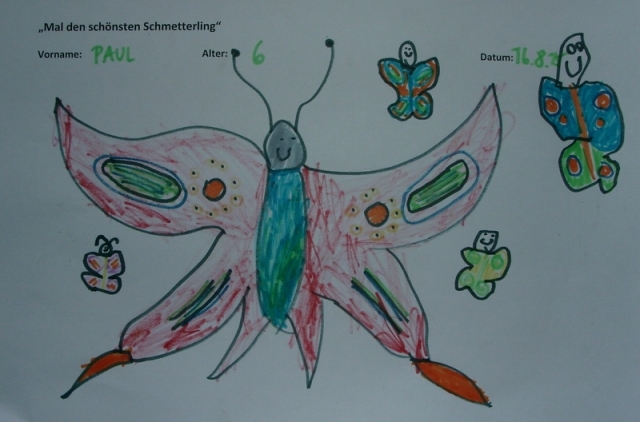 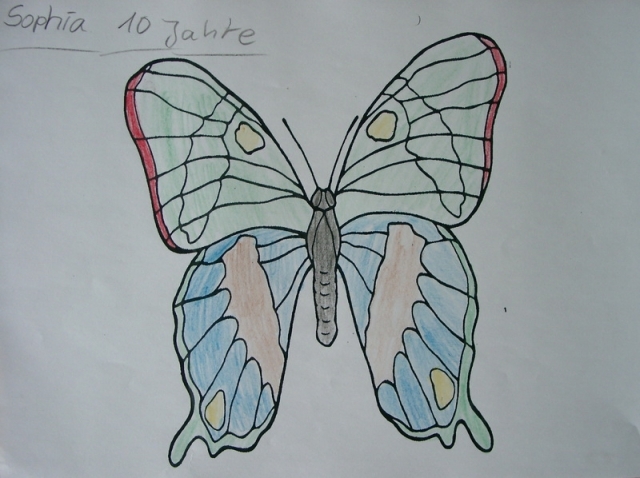 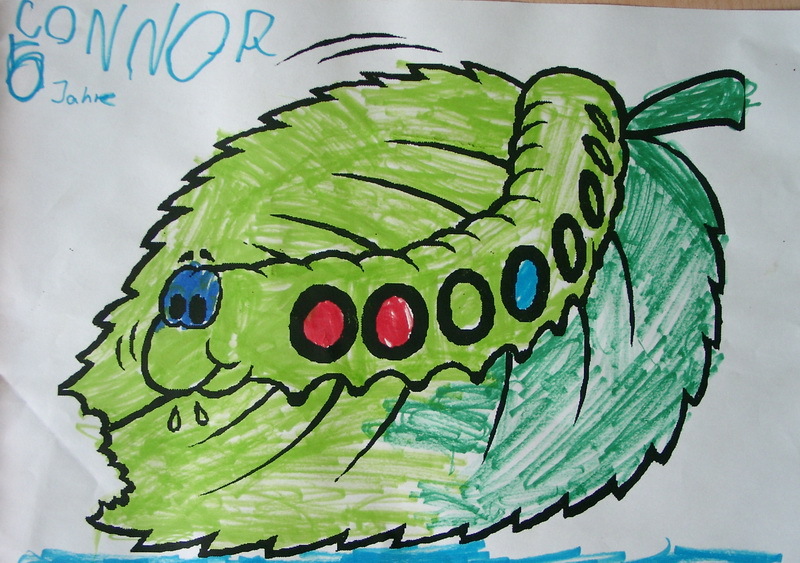 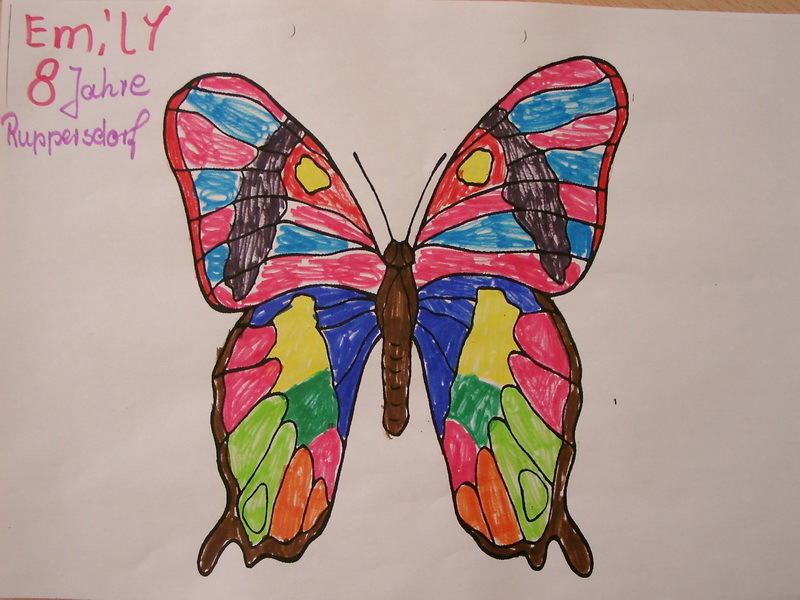 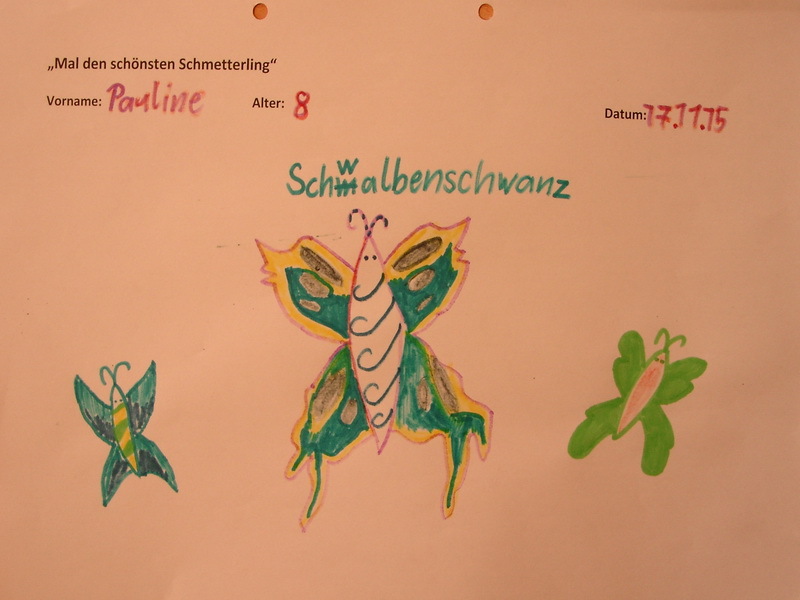 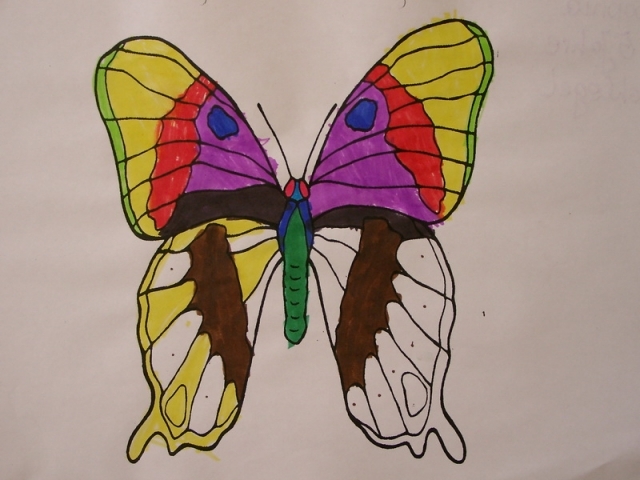 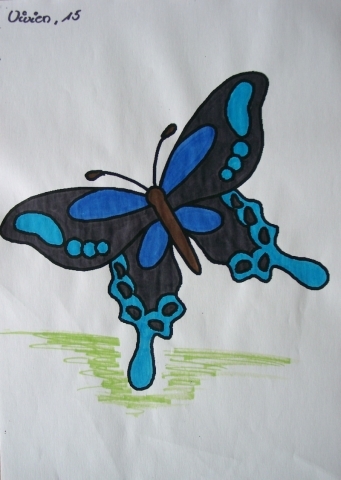 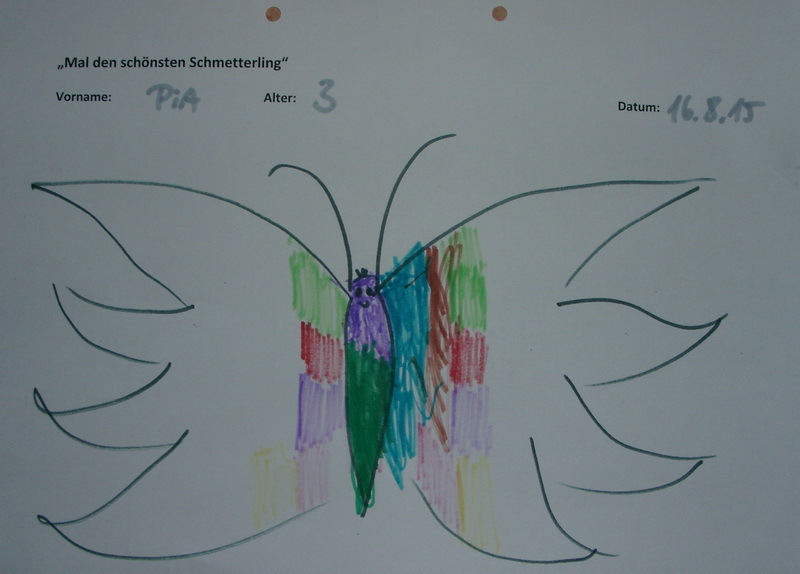 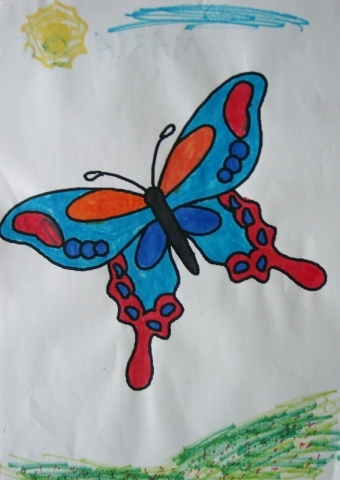 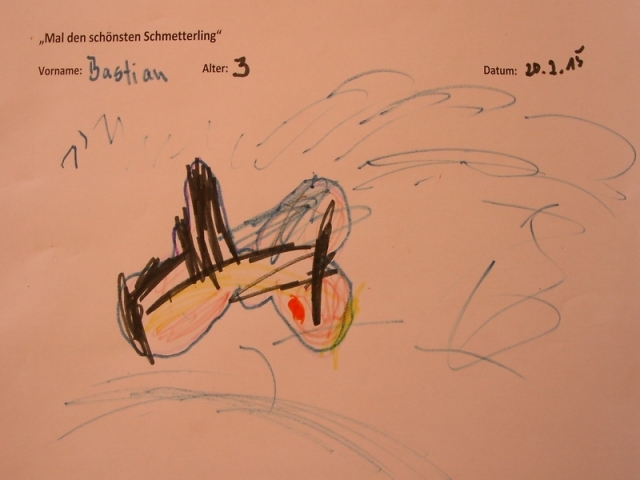 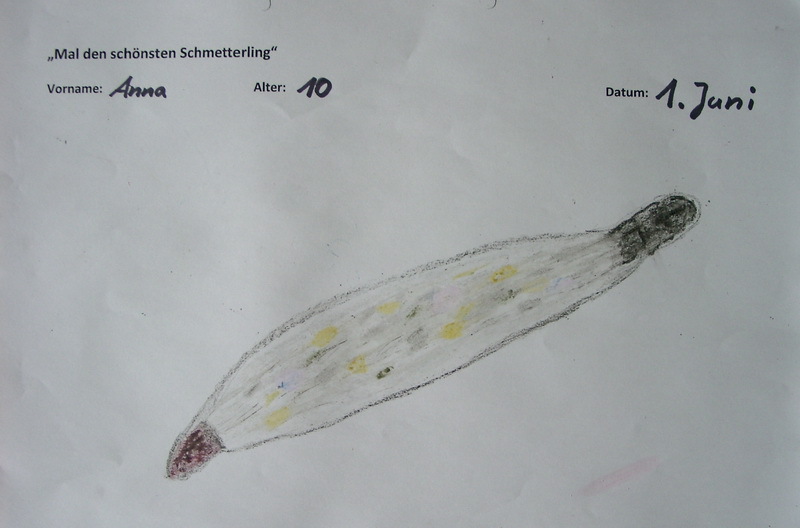 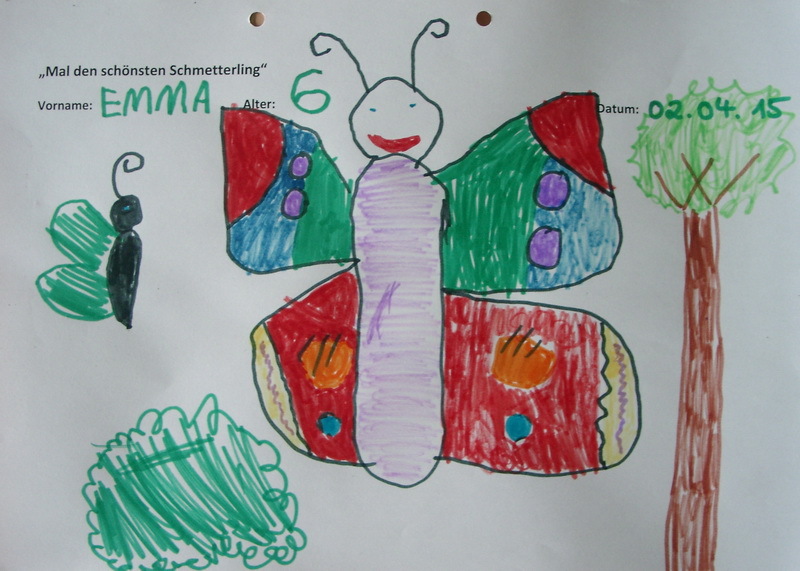 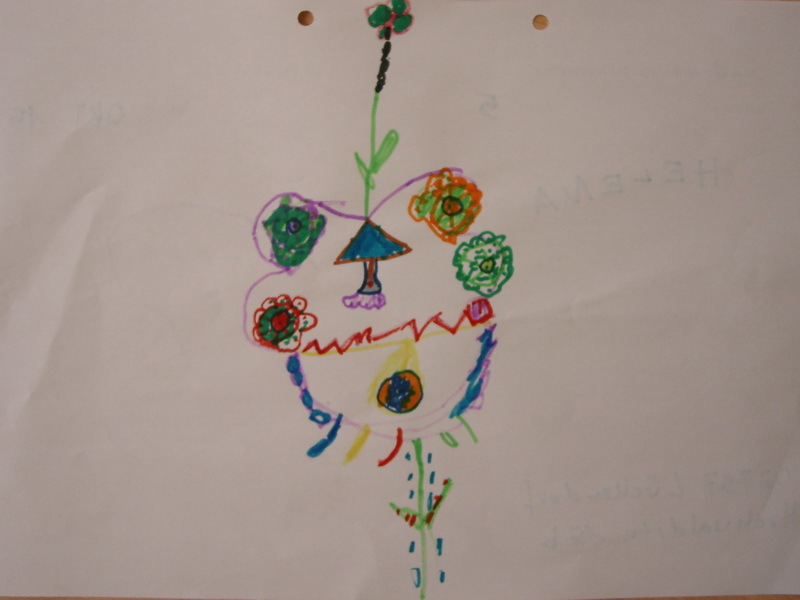 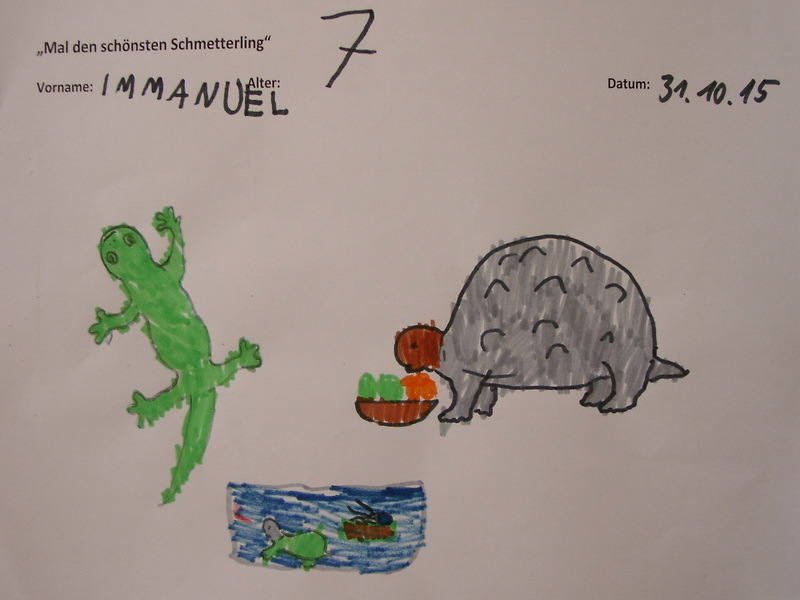 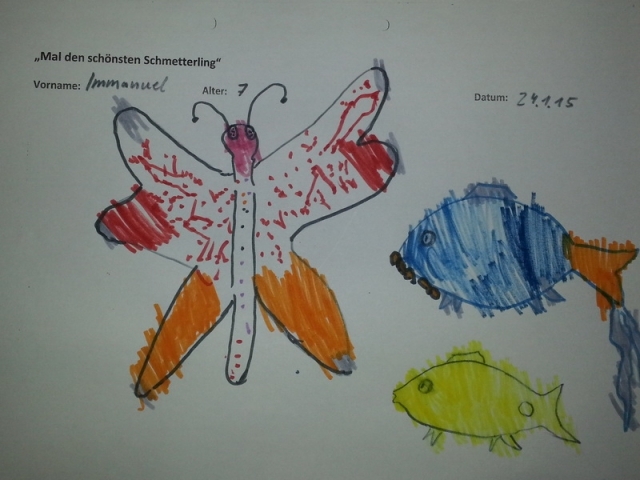 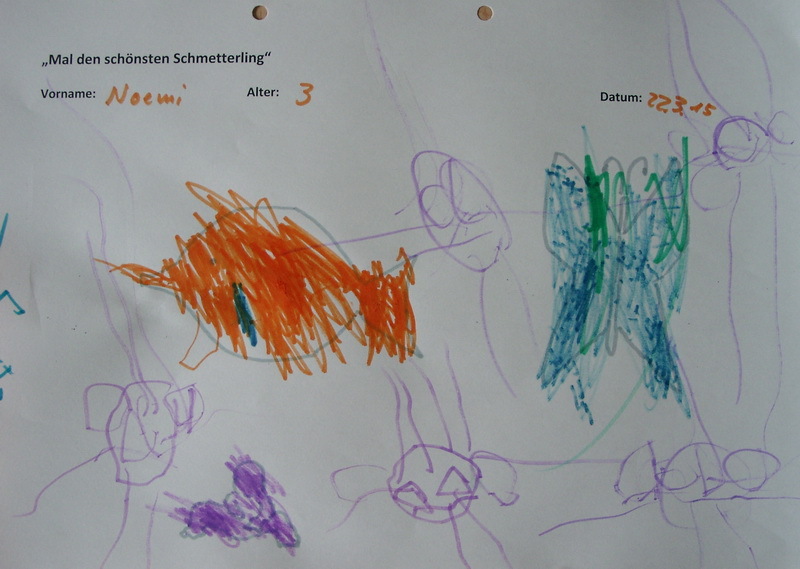 Draw the most beautiful butterfly, you saw the Butterfly House . 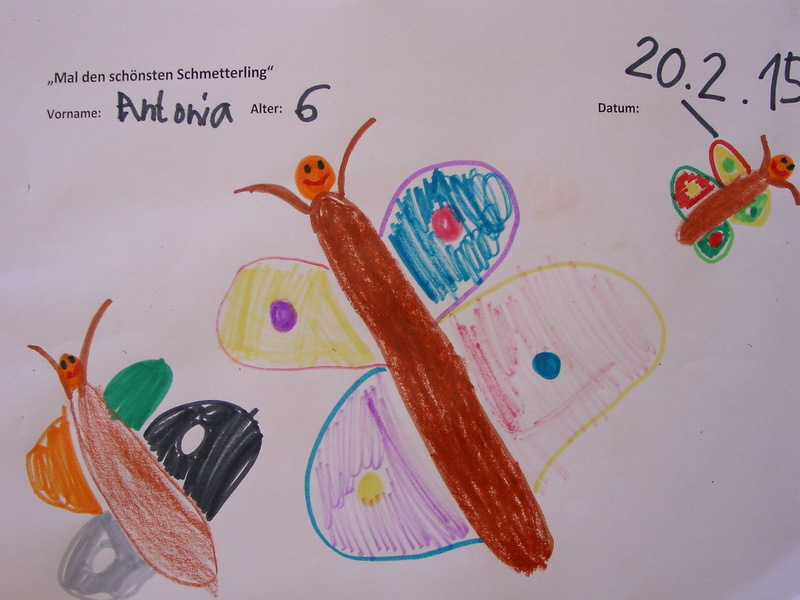 The best pictures will be published every month here in our gallery. 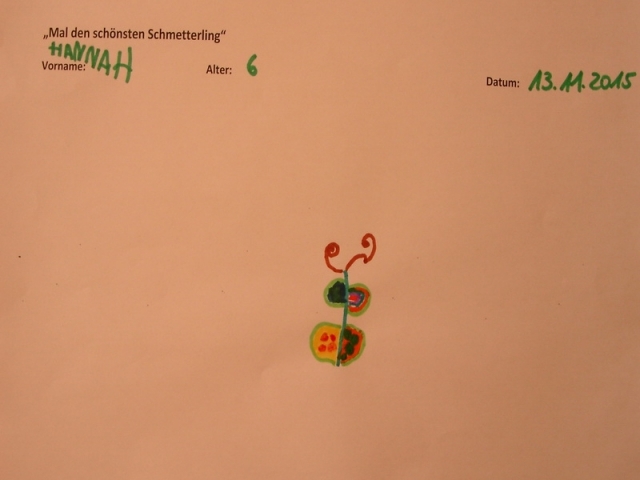 Just borrow a clipboard with a blank sheet and markers at the counter. 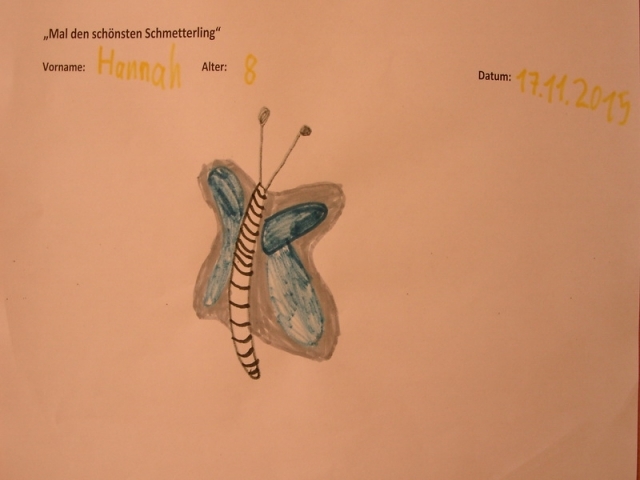 Write your name and age on the paper and then can already get started. 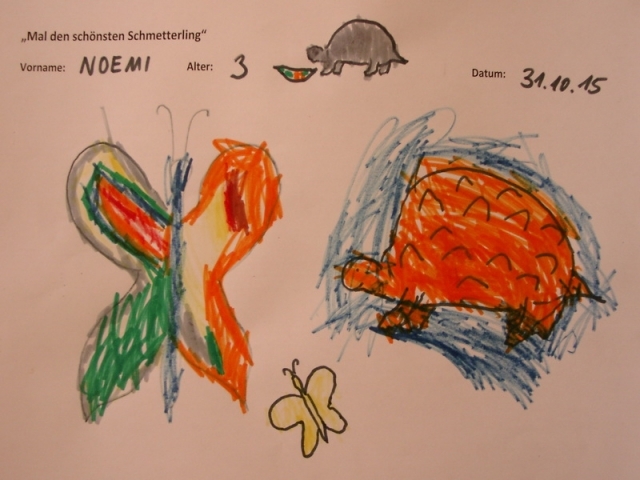 Return your picture and the utensils to the counter and check out the Gallery Painting Competition ( link ) the next month and see whether your picture is on it.